Are Wendy's Fries Gluten Free? 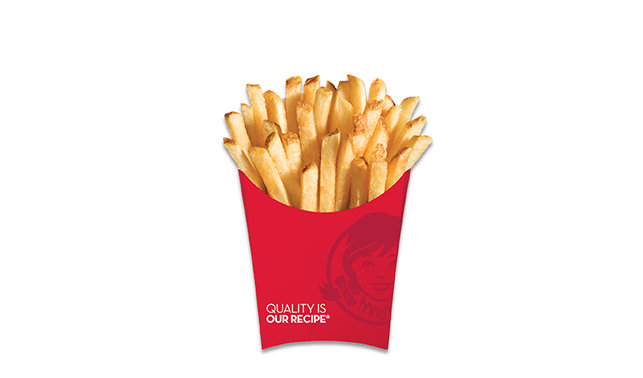 Question: Are Wendy's® Fries Gluten Free? Answer: No, Wendy's® Fries Gluten Free?® are not gluten free. The actual fries do not include gluten. However, they may be fried in the same oil as gluten-containing products. So, they most likely will be cross-contaminated. Please check the individual restaurant's website, ingredients and practices may change. This menu is provided by TheGlutenFreeMenu.com as of 2014. The Gluten Free Menu is not associated with Wendy's® Please check with the listed company before consuming any food items. We are not responsible for any information that is incorrect. This menu is only a guide and it should not be relied upon without checking with the local branch of the business. Are Zone Bars Gluten Free? Are Zone Bars® Gluten Free? Answer: The ZonePerfect® Perfectly Simple Nutrition Bars are the only Zone bars that are certified gluten-free. The other Zone Bar Flavors that do not contain gluten are the Chocolate Almond Raisin, Chocolate Caramel Cluster, Chocolate Coconut Crunch, Chocolate Peanut Butter, Fudge Graham, Double Dark Chocolate, Chocolate Chip Cookie Dough and Dark Chocolate Caramel Pecan. The above flavors do not have gluten containing ingredients (wheat, rye, barley, malt) but they are not tested and certified gluten free. Please check the individual packages label, ingredients may change. This menu is provided by TheGlutenFreeMenu.com as of 2014. The Gluten Free Menu is not associated with ZonePerfect® Please check with the listed company before consuming any food items. We are not responsible for any information that is incorrect. This menu is only a guide and it should not be relied upon without checking with the local branch of the business.